Ever since Chef Hamish Ingham made his memorable appearance on Masterchef last year, I have kept Bar H at the back of my mind as a must-go-to restaurant. 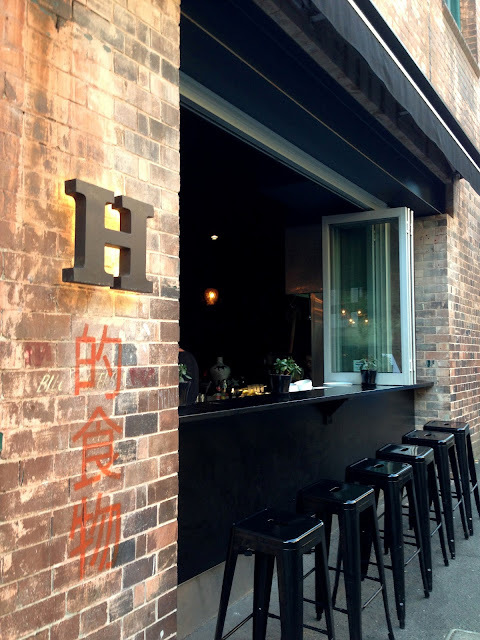 The main reason for this is because of I'm a huge fan of Chinese Cuisine with a modern twist - which Bar H is apparently acclaimed for. So when a voucher opportunity popped up and we were offered a 7 course meal with drinks for 2 at $79, we jumped at the opportunity with no hesitance! 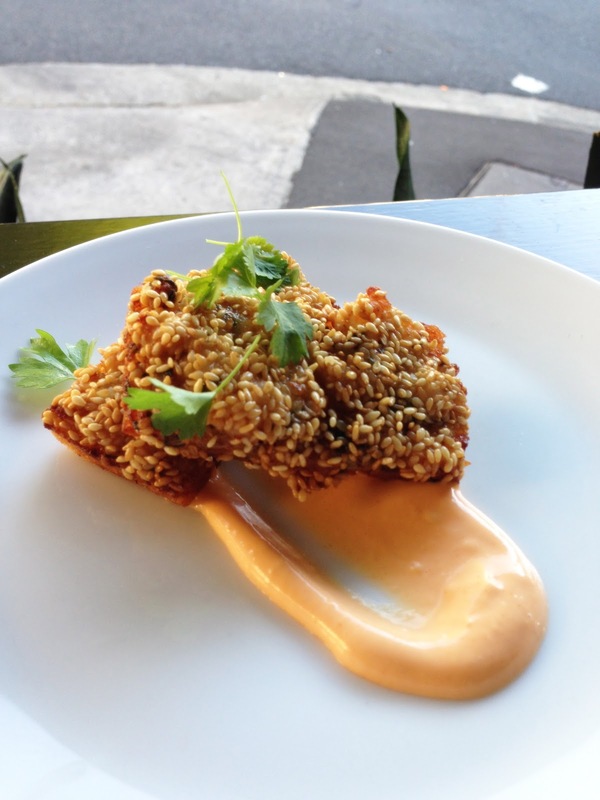 Bar H is located in Surry Hills and is an easy 10 minute walk from Central Station. 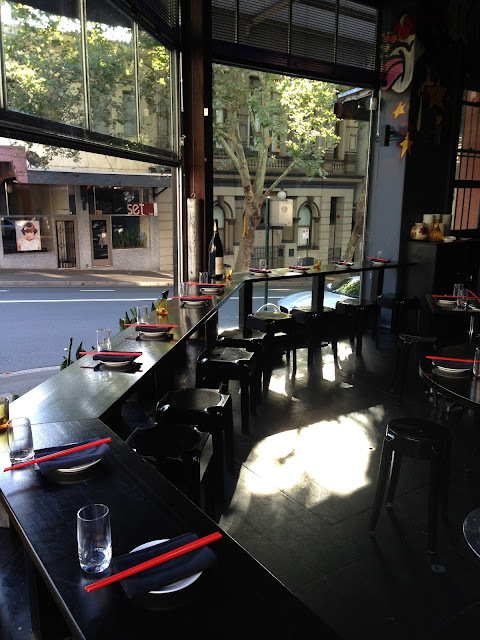 I was surprised to find that the restaurant itself wasn't too big but the decor definitely stood out.Sleek black tables with bold red chopsticks occupied the space which reinforced the theme of contemporary Asian influences. We chose to sit at the benches so that we could stare out into the streets - the open air and space made the whole dining affair more laidback, comfortable and refreshing. 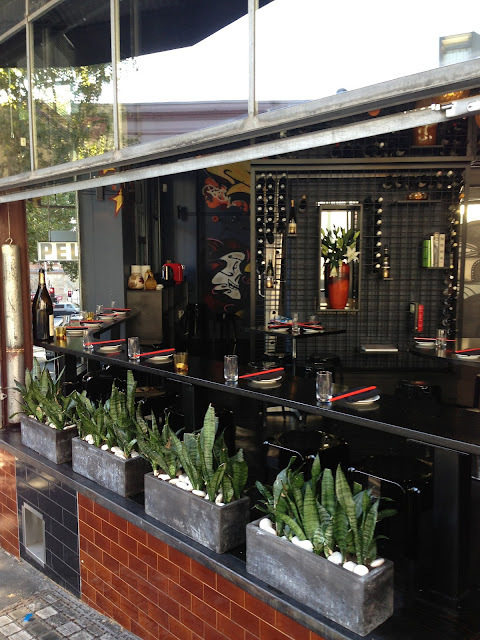 The back wall was adorned with wine bottles that served to make the black facade pop with colour. It was modern, clean and simply perfect. 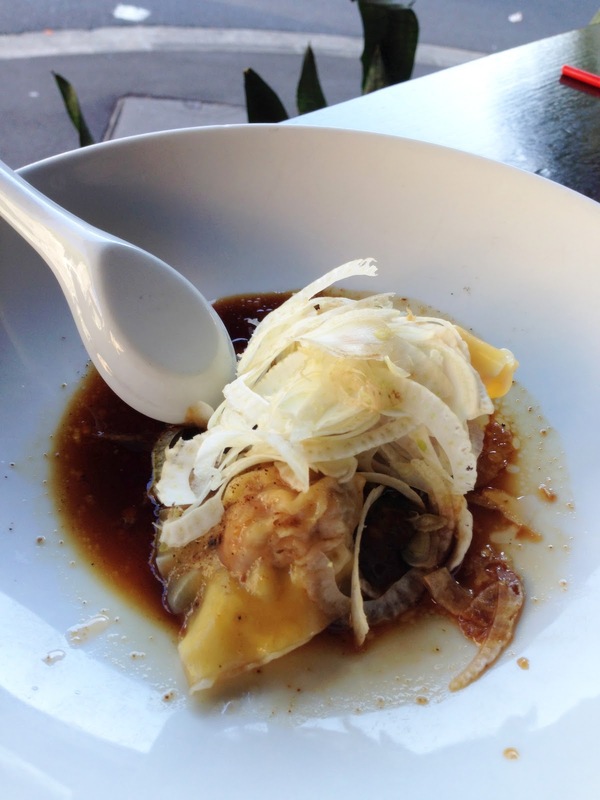 Our voucher entailed a 7 course meal for two, including drinks at $79. Value worthy? I think so! 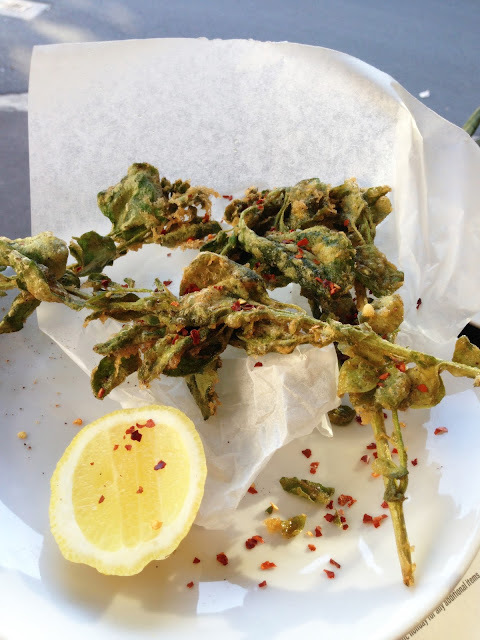 We start off with one of the most unique entrees I've ever had - Deep fried old man salt bush with sichuan pepper and lemon. At first I was hesitant on biting into this as it looked like someone had yanked off a branch from a tree, fried it and offered it to me as food. But as the age old saying goes, never judge a book (or plate) by its cover! The salt bush was fried to an ultimate crunch and was full of bursting flavours with a sichuan spicy after-taste that lingered inconspicuously. Although a little salty and oily, both M and I enjoyed this not-so-ordinary starter. 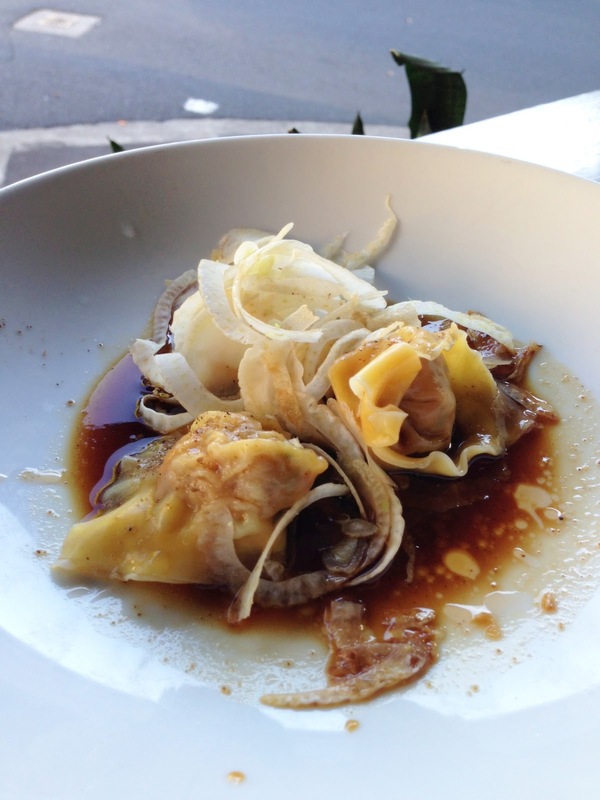 Next up was one of our favourites - Steamed pork wontons with shellfish and chilli oil. The dumpling skin was silky smooth and packed with a juicy succulent meat filling inside. Initially the shellfish smell was a bit overwhelming for us but the dumpling itself was simply delish. Make sure you drizzle alot of the sauce as it was filled with sweet tasty scents and will make each bite as dangerously addictive as the next. 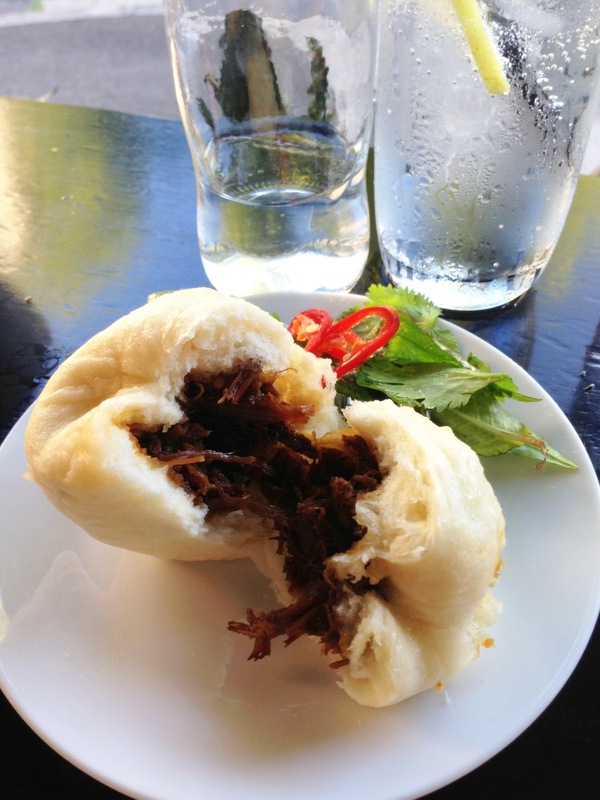 The Steamed beef buns came nice and hot with a tenderely warm beef brisket filling inside. It reminded me of my Grandma's signature Chinese Beef Brisket dish - which is always a good sign! A soft and fluffy bun with a hearty meat filling is really what comfort food is all about. It was pure yumminess packed in a ball! 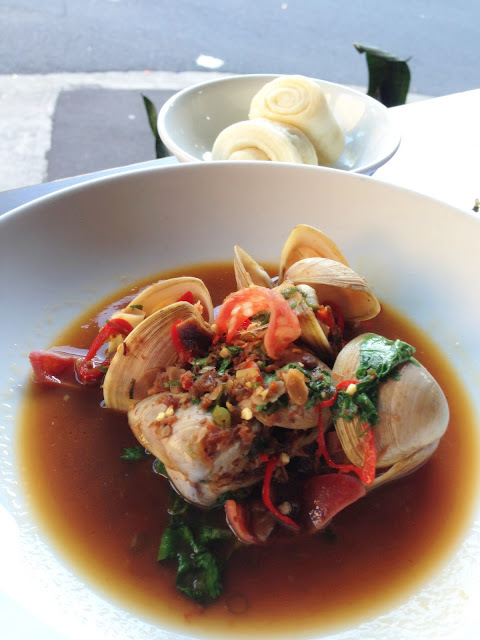 Our next highlight for the night was the Steamed clams with chinese sausages and saltbush. 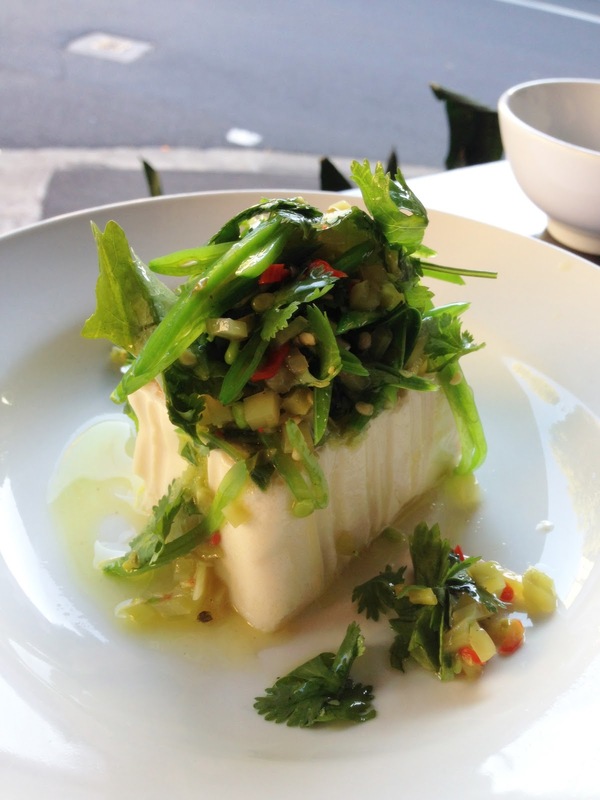 God this dish and its aromas had already sent us tingling with excitement upon being served! The sauce was the magical incredient for sure - sweet with slight hints of chilli. The clams were also fresh and tasty as all the juices from the sauce was absorbed right into the shells. The sausages were a nice and interesting addition and it went well with the accompanying buns to tone down the savoury flavours. Overall, it was a beautiful dish with well-balanced flavours - absolutely amazing! 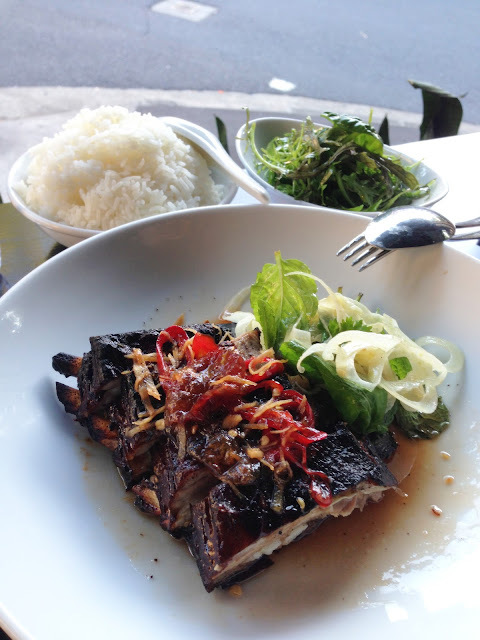 The last dish of the day was the Caramelised lamb ribs with mint and fennel, which came with some rice and a herb salad. As some people may know I'm not a fan of lamb...HOWEVER I did try out one piece just to see how it was. 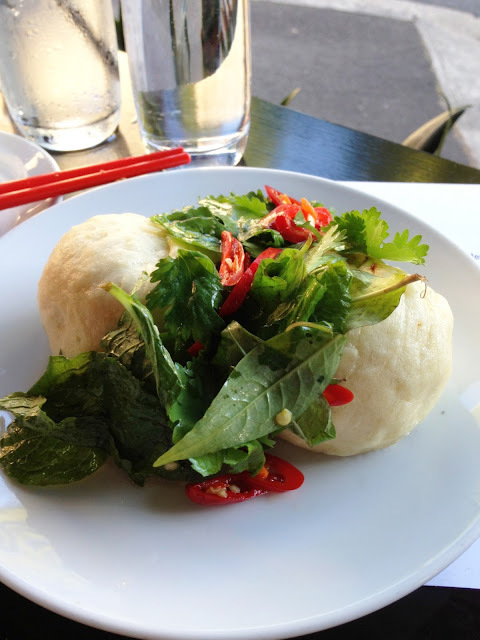 Overall, we were satisfied with our experience at Bar H. Beautiful seasonal produce, clean fresh flavours and a contemporary twist on Chinese cuisine - exactly as we had anticipated. Highlights were definitely the wontons, the prawn toast and the clams. The open kitchen and upbeat music allowed for the atmosphere to be super chilled and relaxed. Perfect for a casual dinner with friends :D Service was also very professional and attentive. 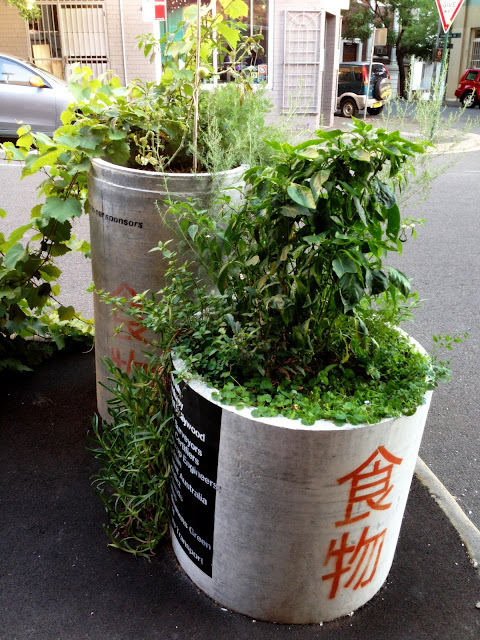 How cute are these pot plants? 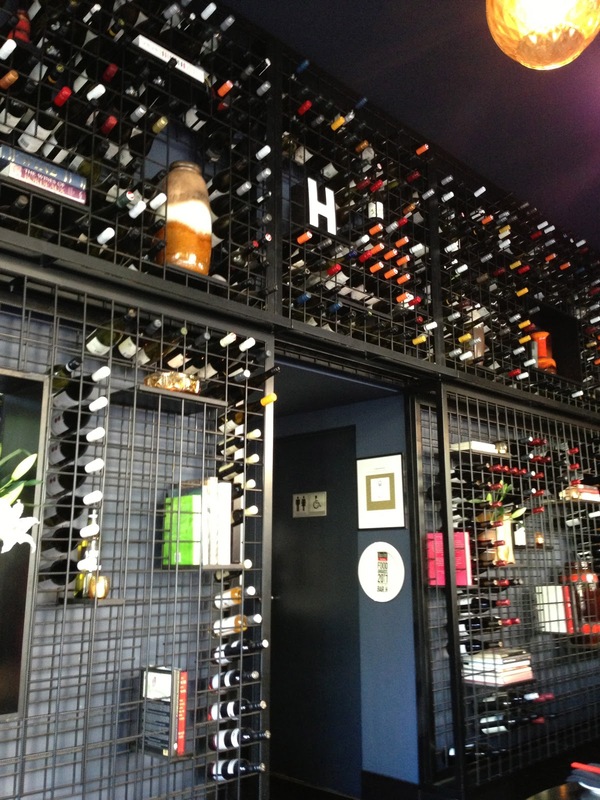 Bar H does well to mix nature with its sharp contemporary decors.